In addition to numerous domestic crimes in the criminal law code such as assault and harassment, there are also offenses in the in the family law section of the Maryland statutes that carry criminal penalties. The most common of these offenses is the violation of a protective order. There are three basic types of protective orders including interim, temporary, and final. Interim protective orders are usually the first step in a person using the court system to keep another person away. A judge will typically sign off on an interim protective order shortly after a person files one, and keep it active until the case can be heard in court. A temporary protective order is usually granted after a hearing, and lasts for a definite amount of time or until the parties go back to court and mutually agree to withdraw it. The amount of time a temporary order lasts is up to the judge, but the two parties often have a large say in the matter. Final protective orders last indefinitely, or until they are brought back to court on a motion. Family law section 4-509 makes it illegal for any person to fail to comply with any type of protective order. A failure to comply could be classified by a number of actions including showing up at a person’s house, intentionally approaching them in public, or even calling them. The problem with this offense is that it has the potential to be abused by the person who requested the order in the first place. We have seen numerous cases where the person with the order falsely accuses a boyfriend, girlfriend, spouse, or family member of violating a protective order. This is far from a laughing matter, as a violation of this law is a misdemeanor that carries up to 90 days in jail for a first offense and a $1,000 fine. Repeat offenders face up to a year in jail and a $2,500 fine, which makes it extremely important to hire an attorney who understands these harsh laws, and has experience dealing with these cases. Under this particular family law section the police do not need a warrant to arrest a suspect. Rather they simply need probable cause to arrest, which is an extremely low standard considering how easy it is to falsely accuse someone. Another thing that is important to understand is that a violation of a protective order is a separate and distinct crime, and can be charged along with any other type of domestic offense. 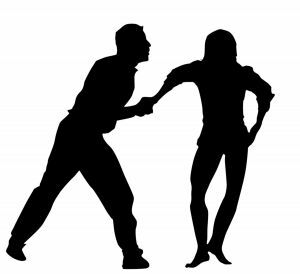 A person who is accused of assault may also be charged with the violation of a protective order, and additionally may be sentenced consecutively. Benjamin Herbst is the president and founder of The Herbst Firm, and is a skilled and experienced domestic crimes lawyer who has handled numerous protective order cases. He knows how damaging a simple accusation can be, and does whatever it takes to assure the best possible outcomes for his clients. If you or a loved one has been charged or is being investigated or accused of violating a protective order contact Benjamin today for a free consultation. We are available 24 hours a day to discuss your case, and offer affordable payment plans for representation in all cases.